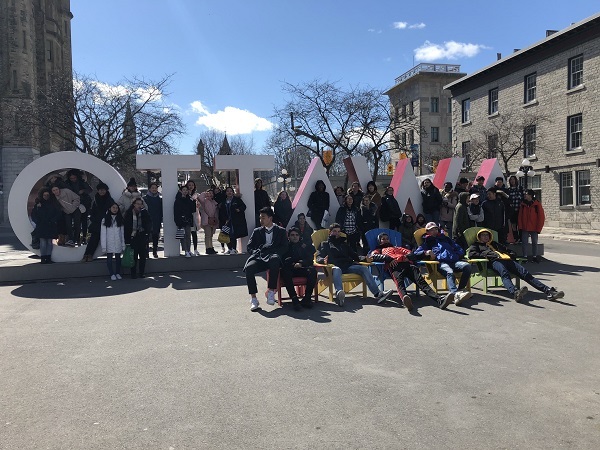 Our Grade 10 students recently had the opportunity to learn all about Canada’s history, government, and judicial system with a two-day trip to historic Ottawa, Ontario—the nation’s capital and one of its largest cities. With stops including Parliament Hill, ByWard Market, and the Canadian War Museum, Kells Academy students had a busy trip full of sightseeing, fun activities, and educational tours. Keep reading to learn more about the trip and what our students learned! The first activity upon arriving in Ottawa on Thursday morning was a trip to beautiful Sussex Drive, where our students had the opportunity to see the Rideau Falls, the Prime Minister’s official residence, and several foreign embassies. After a quick break to pick up souvenirs and grab lunch at the Rideau Centre, the students split into two groups to take turns touring Parliament Hill and the Supreme Court of Canada. 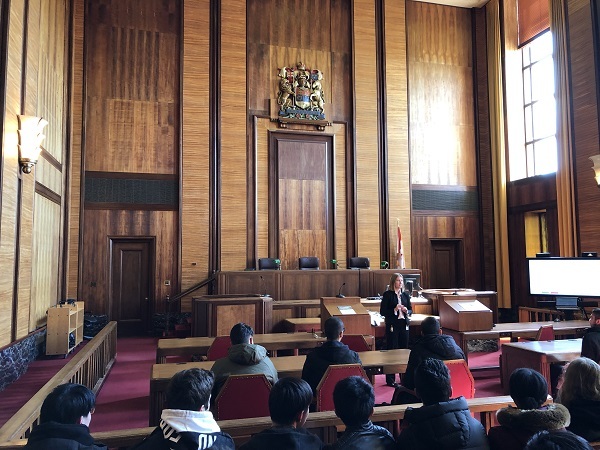 At the Supreme Court, a local guide gave our students a tour of the building, teaching them about the past, present, and future of Canada’s highest tribunal. Although the Supreme Court was formed in 1875, it didn’t occupy its current address at 301 Wellington Street until 1946, after the end of the Second World War. The Supreme Court is Canada's final court of appeals, and its nine members hear between 65 and 80 cases every year. It plays a central role in Canada’s judicial system and the application of Canadian law by lower courts throughout the country. In their tour of Parliament Hill, Kells private high school students had the opportunity to see the Canadian Tomb of the Unknown Soldier, the Famous Five Monument, the Victoria Statue, the Centennial Flame, which opened in 1967 to commemorate Canada’s 100th anniversary as a confederation. After a full day of touring and learning about Canada’s judiciary and history, our students took a quick break to explore Ottawa’s historic ByWard Market. One of Canada’s oldest and largest public markets, ByWard Market was established by Lt-Col. John By, who also supervised the construction of the Rideau Canal, in 1826. The four-block area features a wide range of shops, museums, cafes, and galleries. Before heading back to the hotel, students also had a chance to play some games at Funhaven, an all-ages entertainment centre featuring Ottawa’s only roller coaster, as well as laser tag, bowling lanes, and a variety of arcade games. On Friday, Kells independent high school students had the chance to visit the Canadian War Museum in Ottawa. The War Museum is Canada’s national museum of military history, with educational exhibits covering military technology, the First and Second World Wars, and many other important aspects of Canadian history. 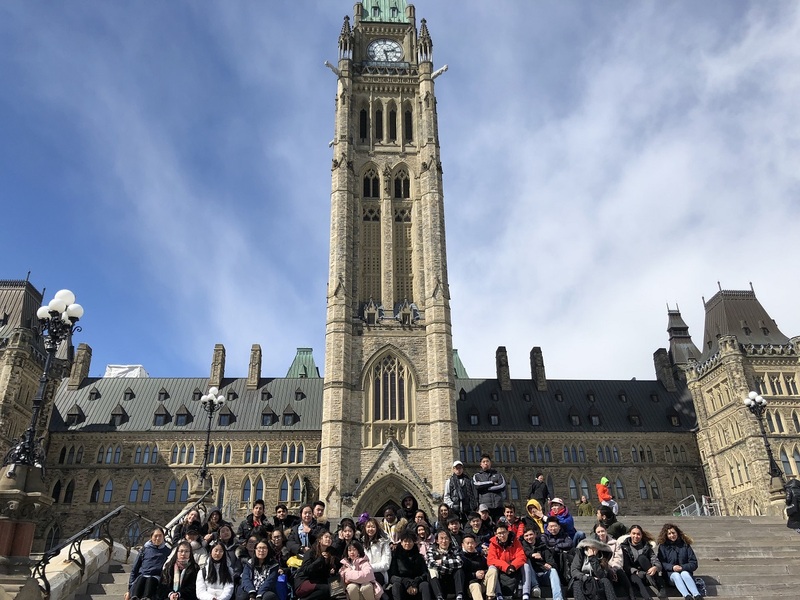 After leaving the museum, Kells students walked across the Royal Alexandra Interprovincial Bridge – which connects Ottawa, Ontario with Gatineau, Quebec – where they had the chance to take some striking selfies in front of the spectacular view of Parliament Hill. Before heading back to Montreal, our Grade 10 students visited the Canadian Museum of History in Gatineau, where they got to see the CINÉ+ presentation of Backyard Wilderness, a film about the wonders of nature that lie in our backyards, presented in the incredible CINE+ theatre, which features a 180 degree field of vision and a 3975 square-foot screen. The short educational film was a great cap to the Ottawa trip. Students had an incredible time and were fascinated to learn about Canada’s judiciary, history, and nature in our historic capital city. Are you looking for a private academic high school for your child? Contact Kells Academy today to learn more.